A social science degree can get you started on a career in law, social work, academia, politics and more. Explore these common jobs for social science majors. Social science students (anthropology, communications, sociology, geography, political science, social work, sociology, economics, etc.) study the complex nature of societies and human behavior. As such, a bachelor’s degree in social science can be a strong foundation for a wide variety of careers in any number of fields such as academia, consulting, government, law and more. These potentially lucrative careers require a unique combination of practical knowledge, technical training, and creativity. Just like there’s a variety of majors, there’s a variety of income potential, depending on discipline. For example, Econ and PoliSci students typically land jobs on the higher end of the spectrum. Econ students often capitalize on their quantitative skills, typically becoming Analytics Managers, Financial Planners, and Strategy Managers. On the other hand, PolySci students often find themselves in careers such as Senior Intelligence Analysts, Directors of Governmental Affairs, or even Vice Presidents of Governmental Affairs. Data scientists often analyze and collect complex data. They use the information they glean to create solutions or provide systems-related advice to their organization. They have an acute level of analytical skills, and often have an advanced degree, such as a PhD. Portfolio managers are responsible for managing investment portfolios on behalf of their client. money. They might work directly with clients, or on an advisory basis with businesses or individuals to invest and manage financial assets. Management consultants are often brought in to help boost the efficiency of a specific aspect of an organization, whether that be branding, management or productivity, for example. The management consultant can identify problems and risks, as well as create a plan to mitigate them. Additional certifications in project management are often required. 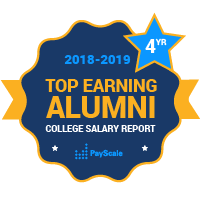 Other high-earning jobs for graduates with 10 or more years of experience are Analytics Manager, Financial/Securities/Investments Analyst, and Business Intelligence Analyst. Some notable politicians that were also social science majors (economics) include Ronald Reagan, George H.W. Bush, Arnold Schwarzenegger, and Gerald Ford.